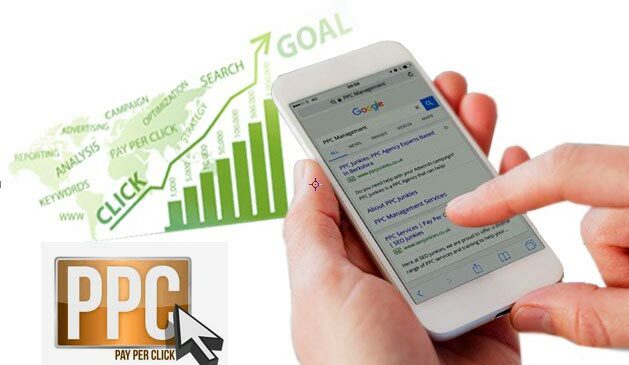 PPC means "pay per click". ppc is a form of advertising. brings national explosure but lasts only as long as you are willing to invest. PPC tracks these results-allowing owners to see exactly what they are making thriugh his channel. cost and the lifeline of that customer. PPC is easier, faster and flexible. Hyper-targeting the audiences you want to reach. PPC analyze competitor's keywords, budget, ads and trends. PPC can pull in huge volume of targeted traffic for businesses, all at a competitive cost. PPC can quickly become a source of revenue for your business. We constantly monitor your PPC campaign to make sure you're getting the most for your advertising investment. The cornerstone of any successful PPC campaign is keyword research- choosing the best keywords to bid on that are most likely to result in clicks and conversion. We design the campaign based on targeted consumer's buying behavior and the right PPC keywords. Without goals there can be no strategy and wiyhout strategy you are not optimizing. We convert ADS into CLICKS and CLICKS into CONSUMERS. Direct, immediate access to us 24*7*365. Yes, that means no frustrating automated menus when you call. PPC advertising gives you the opportunity to pay for top positions on search engines and appear on relevant partner websites. This delivers instant traffic and offers many ways to compliment your existing SEO strategies by testing keywords. AdCenter or any other Pay Per Click Engine selected by Client. The charges specified in Table are based on per search engine and per website. 1.c) Remarketing Banners - $129 for the entire set. Same banner in 5 to 6 different sizes. 2) Pushti will take the credits on the Campaign Landing Pages. 3) Client will need to provide access to Adword Account, if not, then Pushti will manage the campaign from its corporate account. 4) Bi-Monthly reports will be shared by the Project Manager with the client. 5) All payments are to be made 100% in advance. start your ppc campaign today and see the results the next day. call 91-9324278325 and schedule a complimentary consultation with us today!